These 8", 12" and 16", electrically powered (explosion proof & non-explosion proof) Tornado Blowers are made for the most demanding uses. 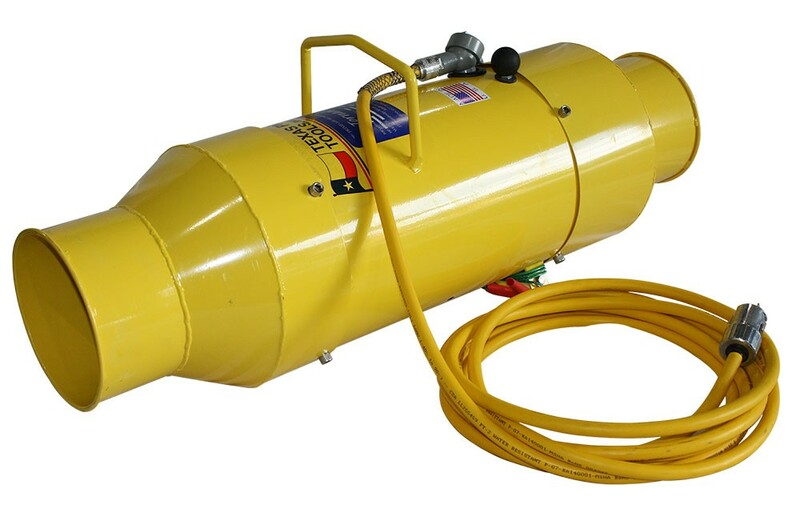 They are used for ventilation of tanks, manholes, process vessels and similar confined spaces. They can also be used for cooling or drying applications. Non-explosion proof Tornado Blowers have a totally enclosed fan cooled (TEFC) motor. Explosion Proof motors are certified for NEMA Class 1, Div. 1, Group D & Class II, Group E, F, & G hazardous areas. All 115v-230v motors have a built-in switch for turning the units on and off. They also have a switch to easily convert the motor from 115 volt to 230 volt capability. 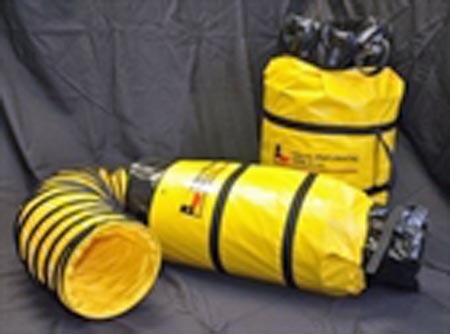 Tornado 12 EXP units are approved and certified by American Bureau of Shipping (ABS). Heavy gauge, rolled and welded steel housings. No casting to break or crack. Rugged steel outlet adapter with welded guide vanes to eliminate rattling and insure a quality product for many years of trouble free service. Polymer fan blades standard. Solid Aluminum fan blades are optional. Motors are rated for 115v or 230v single phase and 50⁄60 hertz. Higher voltages and 3-phase motors also available. Motor voltage easily changed from 115v to 230v by a single switch located on the rear of the motor housing. All explosion proof units are assembled with explosion proof junction boxes, cords and explosion proof plugs. All TEFC units are assembled with weatherproof junction boxes, cords and plugs. Stainless steel bolts and powder coated housing for longer service life.